As someone who has typically had very long-lived dogs, I have frequently had to deal with various types of illnesses and disorders, including canine spondylosis. The name of this condition sounds scary, but it’s actually quite manageable with a little common sense and some help from your veterinarian. Canine spondylosis is similar to arthritis in that it causes pain, is progressive, and cannot be cured. It occurs usually in older dogs, generally along the spine. It’s actually a way in which the dog’s body reacts to degenerating spinal disks – bone spurs begin to develop in order to close up the gaps between the disks. It’s a natural response to a problematic condition, but you could think of it as adaptation gone crazy, because the problem is that although these bone spurs do a very good job of bridging the gaps, the process can lead to limited flexibility and a reduction in the range of motion. Usually, by the time canine spondylosis is identified, the dog is coming toward the end of his life. Obviously, this has a sort of back-handed benefit in that the dog will most likely die, or need to be euthanized, for other reasons, and is not likely to suffer much from the condition. As to suffering in general, canine spondylosis is not thought to be all that painful – at least not when you compare it with some of the other conditions that can afflict aging dogs. Of course there are always exceptions, and in rare cases, canine spondylosis can be truly debilitating. Most of the time, though, the condition will cause only minor pain that can be easily managed with over-the-counter remedies that your vet can recommend. Usually, the main symptom of canine spondylosis is that the dog will begin to limp. He might also appear to have difficulty with movement, and may adopt a gait that will cause the owner to wonder if perhaps the dog has a sore back. As previously stated, with most dogs, spondylosis is simply a natural consequence of aging. It hardly ever occurs in younger dogs. When it does, it’s usually hereditary. Therefore, if you have a young dog that has developed spondylosis, and his parents also had the disorder at a young age, it would be best to neuter the dog to prevent the condition being passed on to further generations. And obviously, no matter how beautiful your dogs are, you will not want to engineer a breeding if there is a risk of passing canine spondylosis on to the litter. This is because once the condition develops in a dog, it will not go away, and it will inevitably become worse. With an old dog, the condition won’t have a lot of time to worsen. When it starts in a young dog, though, by the time the dog reaches old age, he could be in serious pain. So, if you breed a dog that has the condition, there’s a chance that it will be passed on, and a chance that it will manifest early in the dog’s life. Canine spondylosis is also believed to be sometimes caused by repeated stress on the dog’s joints. In this regard, it can occur earlier in very active dogs. Conversely, spondylosis can develop in dogs that don’t get enough exercise. Other causes can include poor nutrition (which can prevent the bones and spinal disks from developing properly), environmental factors, and a suppressed immune system (see 16 Best Immune System Boosters for Dogs to learn ways to improve your dog’s resistance to various diseases and conditions). Occasionally, canine spondylosis can create other problems. Again, though, this usually happens with dogs that are coming toward the end of their natural lifespan. The most severe complication of canine spondylosis is ankylosis. This occurs when the bone spurs become so over-grown that all the bones in the spinal column end up fusing together. This is a very painful condition, and dogs that develop ankyloses will have a great deal of difficulty walking. Quick movements, like jumping, will be extremely painful (if even possible). Sadly, if x-rays reveal ankylosis in your dog’s spine, you may end up having to consider euthanasia sooner rather than later. Fortunately, ankylosis is rare. Another complication (equally rare) is nerve compression. This is exactly what it sounds like – the bone spurs press down on the spinal nerves. With this complication, the dog’s movements will become stiff, usually in the hips. Walking can be difficult, and it may be impossible for the dog to go up and down stairs. Canine spondylosis is not the only bone disorder that can afflict dogs, so keep reading to learn more about other conditions. There are any number of things that can cause a dog to become lame, but much of the time, the culprit is a bone disorder. There can be any number of causes of bone disorders in dogs. They can be developmental (caused usually by excessive exercise or too rapid growth), congenital (developed while the pup is in utero and then manifested post-birth), hereditary, due to nutritional deficiencies (common in puppy mill dogs), the result of trauma or infection, or even for no apparent cause. Bone disorders can be developmental, infectious, nutritional, or due to bone tumors, trauma, or unknown causes. That sounds pretty scary, doesn’t it? Just about anything can cause bone disorders in your dog. Fortunately, though, most dogs will never develop a bone disorder. It is, however, important to know how to identify those disorders when they appear, so that you can obtain the best possible treatment for your dog. Now, let’s take a look at the various types of bone disorders, other than canine spondylosis, that could affect your dog. A developmental bone disorder is exactly what it sounds like – a disorder that happens as the dog is growing. Much of the time, a developmental bone disorder is congenital – in other words, the dog was born with it, and it gets worse as the dog ages. Developmental bone disorders can also occur as a result of nutritional deficiencies. Before you go into full on panic mode, though, and start obsessing about what you’re feeding your dog, let me tell you this. Almost any commercial dog food, in my opinion, is good. I have raised dogs to ripe old ages, with no bone disorders whatsoever, feeding nothing more than store brand dog food. That said, I have always had medium- to large-size dogs, and my vet has always told me that for most breeds, generic dog food is just fine. There are, however, other types of dogs that have very specific nutritional requirements that generic dog food may not provide. These would be the giant breeds – Great Danes, English Mastiffs, Bull Mastiffs and the like. If you have a giant breed, your dog may require a “nutrient boost” that generic dog food simply will not provide. The best course of action if you own a giant breed is to talk with your veterinarian, and go with whatever diet he or she recommends. An angular limb deformity is caused by a growth plate injury. Growth plates are the masses of bone that are near the ends of the bones in young dogs. When the growth plate is injured, the foreleg bones can develop abnormally. This condition is hereditary in Boston Terriers, Bullodgs, Basset Hounds, Dachshunds and Pugs, to name a few breeds. The condition results in limbs that are abnormally shortened, bowed bowns, twisted carpus and displaced elbow joints. As you can imagine, if your dog has this condition, it’s likely that he will become lame, and that movement will be painful. To diagnose the condition, your vet will do X-rays in order to determine the extent to which the bone has become deformed. As to treatment, the goal is to lengthen the limb, and re-position the joints in order to facilitate normal movement. Once the severity of the condition has been identified, your veterinarian can advise you as to whether surgery is desirable. Provided that the limb is not severely deformed, the outcome can be good and the dog can lead a long, pain-free life. Cases of serious deformation, though, may be untreatable, and the kind choice is to euthanize the dog. This condition occurs in growing dogs, and affects the jaw and the bones behind the ears. 4 news here, though – the condition is most common in young dogs, and as the dog matures, the bone growth that causes the problem will usually stop. Provided that it has not become too far advanced, the dog can enjoy a long, happy, pain-free life. This is another disorder that affects young, growing dogs. It’s most common in larger breeds, and affects the long bones. 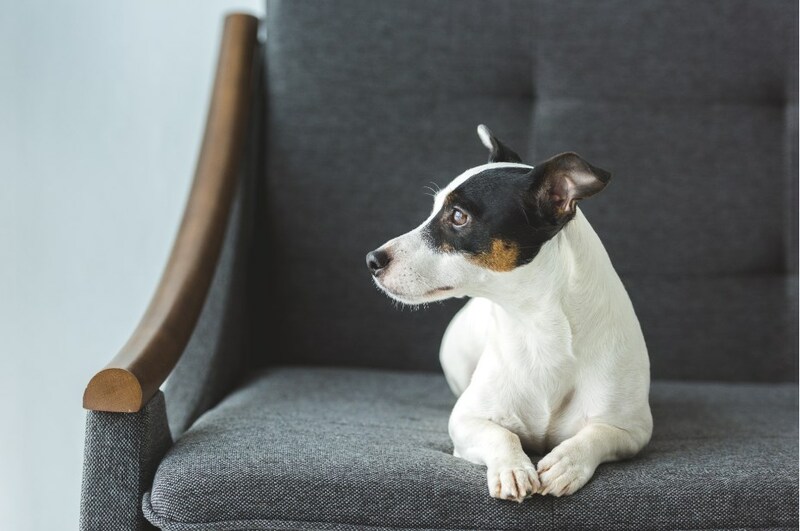 The cause isn’t known – it may or may not be genetic or hereditary, but it has been known to occur in dogs whose parents have not had the condition. Signs of hypertrophic osteodystrophy include pain or swelling in the joints, loss of appetite, fever and depression. Dogs that have this condition may not want to move around much. Severely affected dogs may develop deformities. Treatment for this condition involves pain-relieving medications as well as a special diet that can be recommended by your veterinarian. This disorder affects young dogs, and is, fortunately, very rare. It manifests as bony growths rising from the long bones (the ribs and vertebrae). It leads to lameness and pain. Usually, the condition is easily treated by having the growths removed surgically. This is another condition that affects young dogs. It’s an inflammation of the long bones, and it can affect just a single bone, or many bones. The good news here is that if your dog reaches adulthood without being in too much discomfort, he’ll be fine – the condition goes away once growth is complete. Mostly affects large breeds, between the ages of 6 and 16 months. An affected dog will lose his appetite and become feverish and lame. The dog may also exhibit pain when his limbs are handled. The condition is confirmed by means of X-ray, and treated using anti-inflammatory and/or pain medications. This is another situation where my preference for generic dog food might not be the best thing. With large breeds, it’s very important to keep any eye on the protein balance in the diet. It’s generally believed that an overly high-protein diet might contribute to panosteitis, and that too much protein might be bad for large puppies. All I can say here is that I trust my veterinarian to tell me what to feed my dogs – Dr. Stephen is fine with generic dog food for my Boxers, but if I had something like an English Mastiff or a Great Dane, he might recommend something else entirely. When it comes to feeding your dog, it’s always best to go with what your vet recommends. This is a condition in which a young dog’s bones do not harden properly. This leads to shortened forelimbs. The cause is not really known, although it is believe that it could be dietary. Signs of retained ulnar cartilage cores include deformities of the forelimbs and lameness. If you think that your dog’s limbs are not developing properly, you should immediately stop giving any supplements, and see your veterinarian to have X-rays done. In mild cases, a change of diet may be warranted. In severe cases, it may be necessary to surgically divide, or even remove, the affected bone. The prognosis for recovery and quality of life will depend on the severity of the condition. Any number of things can cause osteomyelitis (bone inflammation) – bacterial and fungal infections, trauma, lack of blood supply to the bone, and infection. The usual signs of osteomyelitis are pain and lameness. The dog may also have a suppressed appetite, seem depressed, and display oozing sores. Treatment for osteomyelitis is usually oral or injectable antibiotics. If wounds are present, they will need to be flushed in order to remove infected, damaged or dead tissue. In advanced cases, bone grafting may be needed in order to rebuild the damaged areas. The cause of osteomyelitis isn’t known, but it is believed that it may be caused (or aggravated) by improper blood flow to the bones. The potential for recovery depends on how bad the infection is, and how long it was left untreated. This is another condition in which the cause isn’t really known, but that could be due to bad blood flow. It manifests as thick bone tissues. Usually it occurs in dogs that have had chest or abdominal tumors. Signs of this condition include pain in the bones, lameness, and the presence of tumors. Obviously, if you’re feeling tumors in your dog, you don’t need an X-ray to tell you that they’re present. However, you will still need an X-ray to determine the size and nature of the tumor. Treatments include (obviously) removal of the tumor. It may also be necessary to cut the nerve going to the affected bones in order to prevent reflexes on the part of the dog that could cause even further harm to the bones. Bad nutrition can cause all sorts of problems, from loose teeth to an insufficient bone mass to bony growths and deformities. Nutritional osteopathies are diagnosed by means of X-rays, and can be treated by increasing the level of Vitamin D in the diet, reducing the level of Vitamin A, and otherwise manipulating the diet to suit the dog’s individual needs. There are few diagnoses a dog owner can receive that are more devastating than bone cancer. It’s almost always a death sentence. Even with early diagnosis, the outcome is bleak. The condition can be treated with radiation, and ultimately amputation, but at most, you’re usually buying your dog only a few months of life, and it’s of questionable quality. Some breeds are more prone to bone cancer than others. Rottweilers are one breed that is so prone to bone cancer that owners like my friend Neila refer to it as the “Rottie Curse.” Neila has had 11 Rottweilers over the course of her life, and 9 have died with bone cancer – I say “with,” not “of,” because Neila does the kind thing once she receives the diagnosis – she has the dog put to sleep before cancer can do its evil work. Signs of bone cancer in dogs include lameness and fracturing that is not due to injury. X-Rays are usually employed to identify cancer in the bone, and also to determine whether it has spread to other areas of the dog’s body, like the stomach and lungs – and it usually does spread, invasively, horribly, and fast. Some would tell you that the prognosis for a dog with bone cancer is “guarded.” I beg to differ, and so would Neila. I’m sorry to have to tell you this, but if your dog has bone cancer, the prognosis is not “guarded.” It’s hopeless. The very best case scenario is that you might buy your dog a few months, and they won’t be good months. In a situation involving bone cancer, you have to ask yourself if you’re keeping your dog around for him, or for you. Knowing the prognosis, if you’re keeping the dog alive, then you are most definitely doing it for you, not for your dog, and you’re being unkind. I’m sorry if this sounds harsh, but a dog with bone cancer is going to die sooner rather than later. Pick a day when the sun is out, and the planets are aligned, and your dog is feeling pretty chill. Then take him for a last drive. Buy him an ice cream cone. Stop somewhere and tell him how much you love him and how much he’s enriched your life. Then proceed directly to the animal hospital and do the right thing. 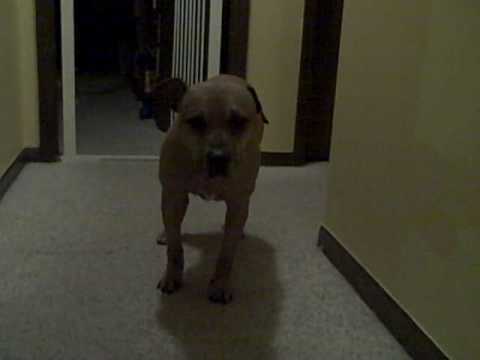 You are not doing a dog with bone cancer any favors by keeping him around until he ends up unable to walk, staggering all over the house, eyes yellow with jaundice, urinating all over the place and feeling guilty about it and then dying at your feet. Do it while life is still pretty good for your dog. That’s about all I can say. In dogs, bone fractures are usually caused by the same things that cause them in humans – accidents, fights and falls. A fracture can be a single break, or several breaks, and can be simple (the skin is not broken) or compound (the bone protrudes through the skin). With a fracture that causes the bone to protrude through the skin, the injury is pretty obvious. With a simple fracture, you might not be able to easily identify it – it will manifest as pain, swelling and/or lameness. The manner in which the fracture will be treated will depend on the severity of the injury. It’s sad to say too, that treatment of fractures will depend on the age of the dog, and the financial resources of the owner. Simply stated, vet bills are pretty expensive. Sometimes, pet owners opt to have a dog put to sleep rather than pay to have a fracture treated. Or, as I paraphrase it, sometimes pet owners are assholes. I would take out a second mortgage rather than have Janice or Leroy put to sleep because I thought it was too expensive to treat a fracture. There are times, though, when euthanasia might be the best option. If a dog is very old, and has a compound fracture that would take a long time to heal and cause a lot of discomfort to the dog, it does make sense to assess the future quality of life, and sometimes decide that it’s not fair to the dog to buy just a few potentially painful months. In a healthy, young dog, though, even complex fractures can be treated and the outcome can be good. Sometimes bone grafts are needed to ensure mobility as time moves on, but again, if the dog is young and healthy, you can give your dog many more happy years if you have the injury treated. Depending on how well the surgery went, you can have much more time with your beloved friend. Sometimes, when it comes to bone diseases in dogs, the outcome can be very good. Other times, not so much. It’s up to you, as your dog’s primary caregiver, to determine what’s best, and to make hard decisions if you have to. As I’ve already mentioned, pain medications can provide some relief for most bone diseases in dogs, so ask your vet to recommend an appropriate remedy. If the dog is overweight, then switch him over to a low-calorie dog food, or cut back on portions a bit, and make sure that he gets adequate exercise. If the dog is carrying a lot of extra weight, this increases pressure and stress on the spine and joints, and can exacerbate the condition. If you haven’t been in the habit of exercising your dog, start off slow, perhaps with a leisurely-paced 20-minute walk. Keep an eye out for signs of pain, and stop if the dog seems to be experiencing discomfort. Swimming is a wonderful exercise for dogs with spondylosis, because the water supports the dog’s body and therefore doesn’t place a lot of pressure on the joints. If you have a backyard pool, that’s great, but if you don’t, you can probably find a park nearby with a lake or pond where your dog can swim. If you have a small dog, you can even let him swim in the bathtub! Applying warmth is also a good treatment for canine spondylosis. Moist heat is best, and you can simply soak some towels in hot water and then apply them to your dog’s spine and hips. If you don’t like the idea of having water dripping, or are very sensitive to “wet dog smell,” you can always use hot water bottles. If you choose to go with a heating pad, keep it on low and don’t leave your dog unsupervised – the last thing you want is for him to chew through the cord! Another great way of easing your dog’s discomfort using warmth is by buying him a heated dog bed. And even in the house, he might be more comfortable wearing a sweater. Massage can also be very helpful when dealing with pain in your dog’s joints and back. For that matter, even dogs that don’t have pain often enjoy a good massage. Start off by using the palms of your hands to make small, circular motions over the dog’s back and hips. Don’t use a lot of pressure – you’re not trying for deep-muscle massage here, like the kind you might enjoy after a strenuous workout. It takes surprisingly little pressure to ease your dog’s pain. Now, I really hope I don’t have to tell you this, but I like to err on the side of caution. Dogs are not meant to live outdoors. That said, in the warm months, I often leave the door to my house open at night, and sometimes, Janice and Leroy like to go out and sleep under the stars. The thing is, that’s their choice. If you have a dog with canine spondylosis, though, he shouldn’t be sleeping outside. The hard ground does not make a good bed for a dog with this kind of condition. It’s not easy watching a dog get old. It’s also beyond difficult watching a dog suffer with an issue like bone cancer. Sometimes, you know that you are coming to the end of the time that you have with him, and it’s even harder when you need to accept that your dog is in pain, and might not ever be pain-free. Fortunately, although canine spondylosis is incurable and progressive, it can be treated. Be alert to signs of the condition in your aging dog, because as with many conditions, the sooner spondylosis is identified, the higher the likelihood of the dog responding well to treatment. In fact, if you catch it early and begin a course of therapy, there is a good chance that the condition may not progress much, and your dog will enjoy a good quality of life up until the end. With issues like bone cancer, though, know when to let go. It’s hard – in fact, if you’re anything like me, it’s the hardest thing you’ll ever do, admitting that your beloved friend has come to a point where nothing you can do will help, and the only source of help is a veterinarian with a syringe full of euthanyl. Well, okay, I’m not done. Usually my stories are kind of fun. I want to tell you about a time that I made a mistake. Usually I get it right with my dogs, but this one time, I didn’t. One of the reasons I ended up being friends with Neila was that I also once had a Rottweiler. Geena was 120 pounds of perfection, sweet natured, friend to everyone, and she was a typical Rott in that she developed bone cancer at 9 – anything you get over 9 years with that breed is a bonus. One day, Geena started limping. She was a pretty active dog, and I just figured she hurt herself running around. But she didn’t get any better. She couldn’t walk without holding her paw up, and finally I took her to see my vet, Stephen. There were white spots all over it. Cancer. All through Geena’s leg bones, and in her stomach, pancreas, lungs and liver. Then I let the sobs go full on, but I didn’t hesitate. He knew what I meant, and he left me alone with Geena for a few minutes so I could say goodbye and tell her that she was the best girl in the whole world. Then I held her while she passed. And then Stephen and I both sat on the floor of the veterinary hospital and cried for a good dog. I think what I’m saying here is that losing a dog to a bone disease is beyond difficult. But fortunately, most bone disorders and diseases are treatable. Bone cancer isn’t, and I hope that you never have to lose a dog to that horrible, evil disease. If your dog has any of the other diseases or disorders that I’ve talked about, though, the prognosis can be very good! Talk with your vet about dietary and surgical treatments, and give your dog the best life he can have. Whether it’s canine spondylosis or something else, there’s almost always hope for recovery and a full, satisfying life for your dog.